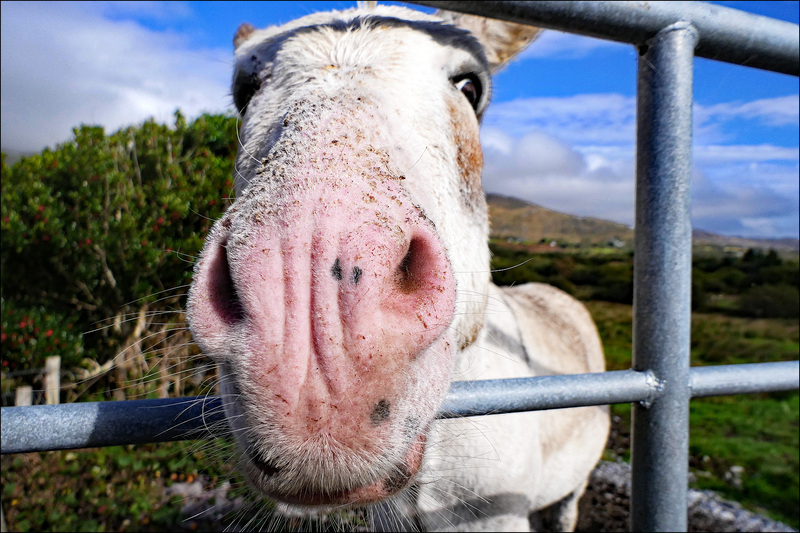 Ireland is famous for its donkeys, though for reasons not entirely clear to me. We didn’t see many donkeys on our travels around Kerry, but we did see a few on a farm a few miles north of where we stayed. Mostly they just stood around and looked at us, but as you can see, one of them was pretty friendly. Perhaps he was hoping for an apple or something?